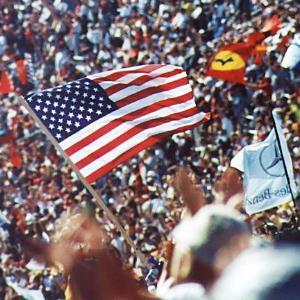 Many auto racing fans were stunned by the news earlier this week that Formula 1 racing would be returning to the United States in 2012 at a new, purpose-built track in Austin, Texas. The prevailing sentiment was that Formula 1 rights holder Bernie Ecclestone was very keen at hold a future United States Grand Prix at a location near New York, either at Watkins Glen (a former Formula 1 race site) or the private Monticello Motor Club. To some people, the decision to choose Austin – hardly a Formula 1 hotbed – as the site of the new US GP was a shock. However, Chuck Squatriglia of Wired Magazine’s “Autotopia” blog argues that the selection of Austin makes perfect sense for Formula 1. For one thing, they offered Ecclestone the largest potential payday. In addition, both state and local officials had enthusiastically thrown their support behind the project, making it much easier to get a track built and the inaugural race organized successfully within two years. The track was a third reason that Austin made sense for Formula 1. While Watkins Glen and Monticello could potentially have worked as Formula 1 sites, they are not modern tracks designed with the current needs of Formula 1 racing (including luxury suites) in mind. With Austin, Formula 1 will be able to re-launch in the United States at a state-of-the-art facility that could cost upwards of $250 million.